Heidi and I did a road tip down to Southern Baja last winter to do some windsurfing. Near the end of April we were lucky enough to catch the Mexican 1000 race, it passed two blocks from our rental. We had beach chairs, were taking photos and having a blast. Emotions were hitting me hard. Baja racing has been in my brain almost my entire life. I turned to Heidi and say “Baja racing has been a dream of mine forever!” She immediately looks deep into my eyes and responds with “You should do it!” Heidi is the best, I know she means it and believes that I can do it; the power of that is beyond scale. 49 years ago ‘Wild World of Sports’ first aired an off-road race from Baja Mexico, the second Mexican 1000. I was eleven at the time and was addicted to ‘Wild World of Sports’. 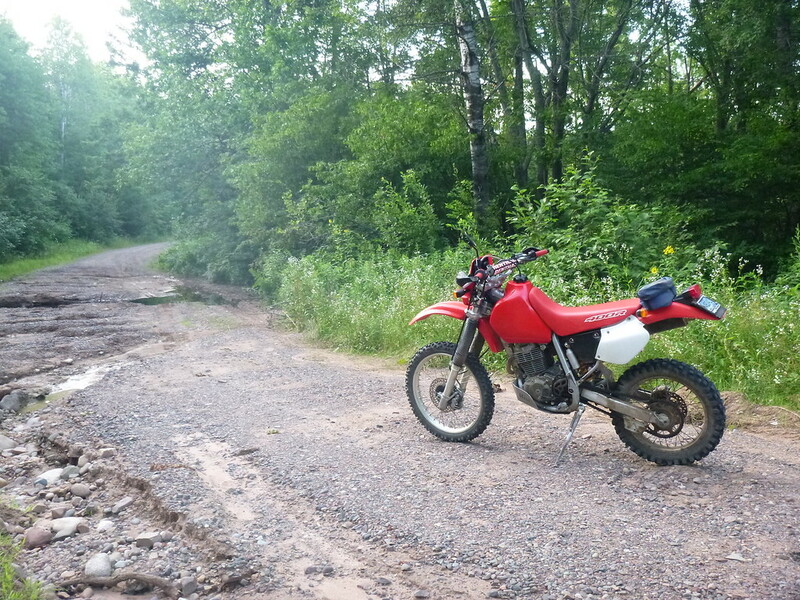 At 14 with my first motorcycle, a Suzuki road bike that I installed two knobby tires and started overnight motorcycle camping adventures on the back roads and fire-lanes of Northern Wisconsin. At that time the word “Baja” came out of my mouth every time I hit off-road or rough terrain, as it still does today. This all started the day of the race, I wrote down a little mission statement in notpad. 1: Acquire the motorcycle that is capable of finishing the race. C: Padding & riding gear. The list has grown to many pages that includes everything racing, everything Baja and everything survival. Last year it ran over 1300 miles, I believe this year may be longer. I’m doing the 2017 NORRA Mexican 1000 Baja Off-Road Race, on a motorcycle. This is the biggest adventure of them all. Here we go; The Bike, the Prep and the Madness. 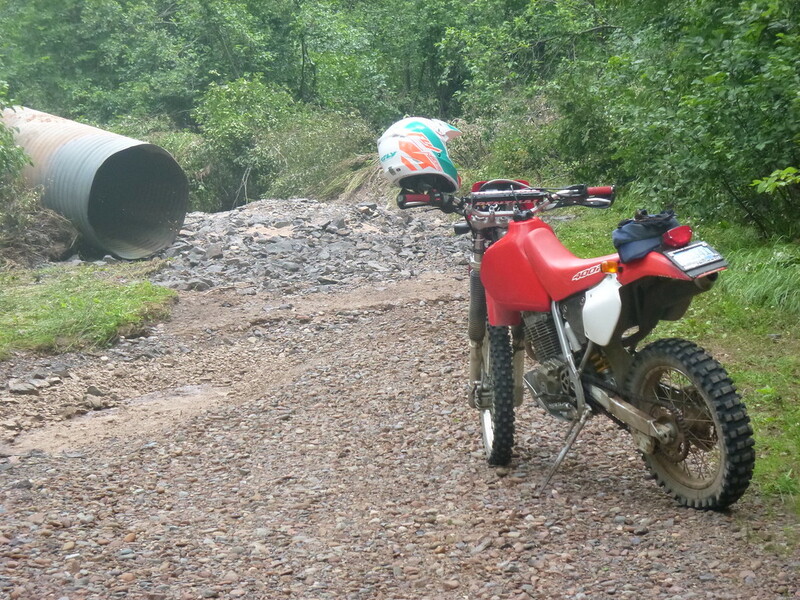 I fond an old XR400r on the internet while on our way back from Baja last year and picked it up while coming home. The seller reported it had only 3,000 miles and as far as I could tell the tires, sprockets and general ware and tare looked consistent with that. Of course the title was not in the sellers name or from the state he was in, and of course the owner of the title is dead… Anyway, the seller had all the paper work and it looked good to me, and the bike is supreme so I don’t care, I’m buying a bike to race Baja, no need for a flipp’en registration. ??! Preparing a motorcycle and me for a major ride has always been one of my all time favorite activities, and this is the biggest of them all. Once I committed to race my brain clicked into a hyper state “what bike” “race equipment” “training” “fixing problems on the course” I first thought about racing one of our vintage enduros (this is a vintage friendly race) we have two Yamaha DTs mid-70s, and I would love to race the 250 but I’ve been beating on that for 30 years so that would require a complete restore. I need to spend my time training. 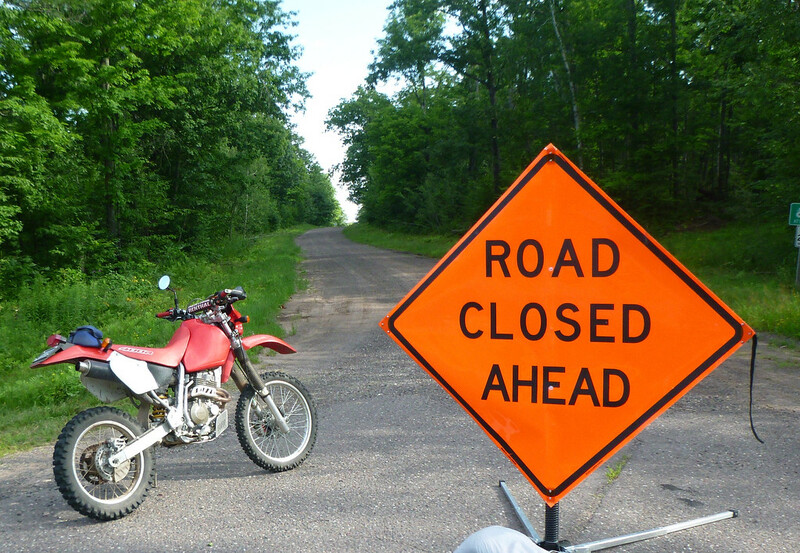 It makes sense anyway to race a bike I have confidence will make it the fourteen hundred miles of extreme off-road punishment. I read good things about the XR400r, it’s a Baja winner and last year Jennifer Morton won Modern Lites class with an 04’ XR400 in this race. 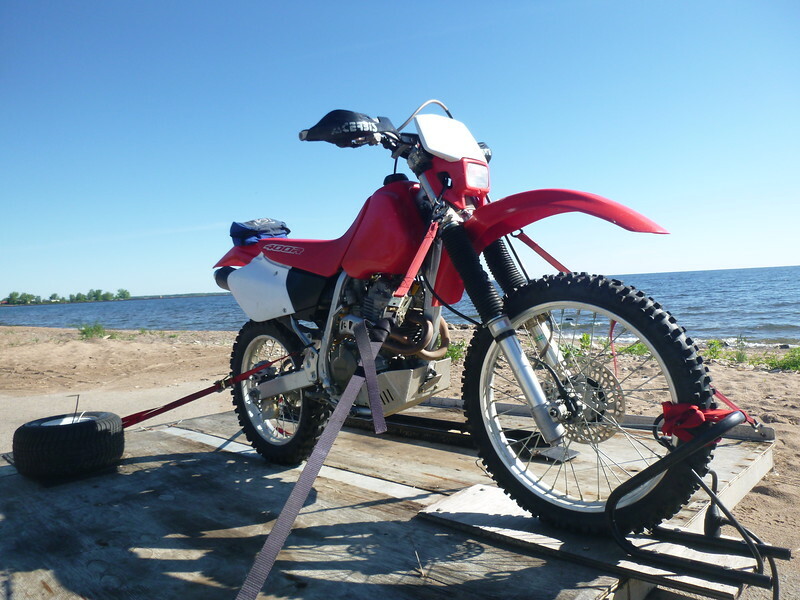 Lucky for me all the bikes I saw online were sold by the time I crossed the border (good bikes go fast on the internet) except the XR400. (probably because of the title weirdness). - Dual-sport the bike and install hi-power stator for brighter lighting/safety and street title reasons. - Pick out and purchase all the personal race equipment and practice using it (Thats a lot of stuff). - 4-gallon gas tank (so I don't run out of gas in the Baja). - Desert tires with one spare rear for a half way point tire change. - Upgrade handlebars, vintage desert bars. - Chain and sprockets (two extra teeth on rear sprocket). - Spare master link /w chain-breaker. - Rear bearings (not sure I will install prior to race). - Throttle and break cables. A quote from a website, (Introduction to Desert Racing:) "A desert racer rides flat out for a hundred miles or more over some of the most hostile terrain on earth. Just finishing a desert race requires experience, skill, machine preparation, courage and fierce determination. Every desert racer is a good mechanic or has one working for him. The best motorcycle in the world will not last a season of desert racing without regular and knowledgeable maintainence. In desert racing, almost everyone is smiling when they roll into the finish line and collect their finisher's pin." Picking up the XR400r: Oh yeah! The other bikes will have to wait. I have a lot of stuff to do to this bike to get it ready to race in Baja. Break light / tail light assembly on. Hydraulic break light switch On. I think this is beautiful: Tires, suspension, wires, motor and frame. No crap. The fish shed becomes a small motorcycle paradise. I need a bigger gas tank for desert racing in Baja, the first 4 gallon IMS tank I orered leaked at the petcock. The counter sink for the o-ring was not machined. I sent it back and requested another brand, a Clarke 3.8 gallon tank. That tank is perfect and does not leak. Hi/Lo beam headlight with all the electronic stuff is wired and mounted. 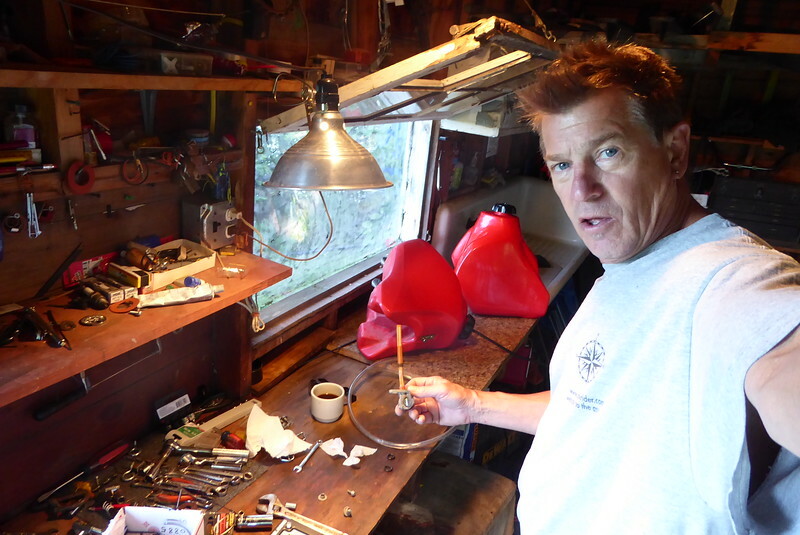 Baja Designs put the blinker box, voltage regulator, horn and the battery inside the headlight cowling. This is brilliant for ease of implementation but not for the added weight on the steering head. The battery and horn and maybe even the regulator will be moved to mid frame, we will see. The dual sport kit is on, new Vintage Desert handlebars are on and the handguards are installed (not easy getting them off the old bars). The first kick it fired up, unreal, it has never done that. One thing at a time. Next the bike needs a new hi-power stator for more power to the brighter headlights and battery. My neighborhood / Baja training grounds. By far the sweetest bike I have ever ridden. although I need to get use to all that power without trying. On my 250 2-stoke I have to constantly hammer on the throttle when I want real power, not on this bike. 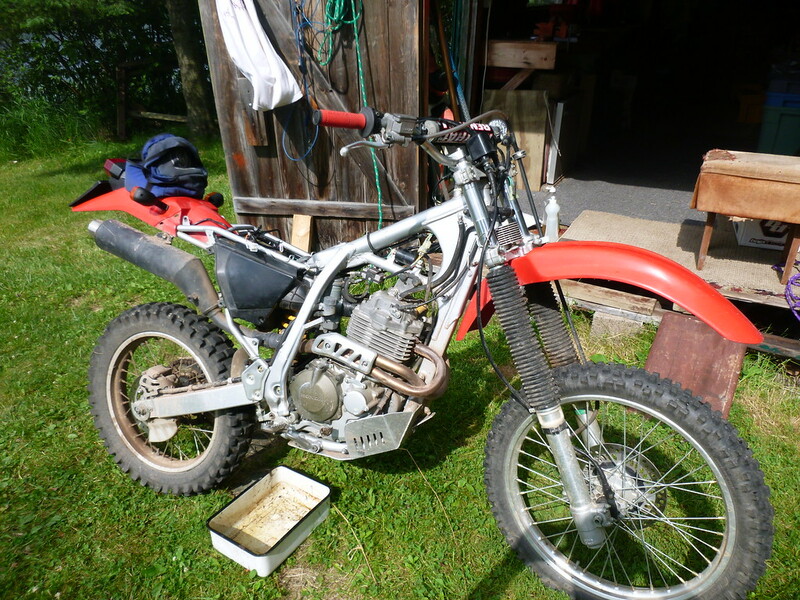 I bit-it twice already after applying too much throttle in deep S.
For sure heavy duty tubes and spare air filters will be installed. I have been asking Baja racing advice on the Racing forum. I never posted there before so i thought I would give it a try. -->Thread It has been unread with tons of good advice. There are a lot of real Baja racers and support people helping me and others out there. I just received a airless tube (Bibs) for the front tire and am in the middle of trying to decide to go with a bibs on the rear or not. I planned on putting a new tire on at the half way point in Loreto but changing a tire with a bibs installed is a real bummer (I hear) And I don't want a real bummer in the middle of the race :| We will see, Baja Dad thinks one rear tire with a bibs can go the distance. I love the idea of not carrying tire changing tools, and I hate the idea of not carrying tire changing tools. Every ride I've gone on I carry tire tools, i would feel vulnerable. Super stuff! For me, this is the Biggest Adventure of them All. A long dirt ride then back on the tarmac I opened it up. And of course I just installed a new CDI box that allows another grand of Rs before it cuts out. Anyway, everything was great, hitting 85 and screaming as smooth as silk, perfect, than pop. I quickly lost power and as soon as I pulled in the clutch it dies, never to start again. It feels like low compression (you can feel the compression on those XRs). I'm a 2-stroke engine repair guy so the first thing I thought was a busted ring. But the only time I busted a ring on a 2-stroke was after an oil pump cable busted. Not the case here. But I was low on oil, and I only had 500 miles on from the last change. WT_ I got to figure this one out. I feel like such a DS! I've never rebuilt a 4-stroke bike before and I need this one done right. Luckily there is a local shop owned by a vintage motorcycle racer, R3-Racing. The guy goes all over the world and is ranked high in the US. And he owns the shop and rebuilds vintage bikes and races them. It's like the planets and stars all aligned perfectly for me just at this point in time. This could have happened the first day of the Mexican 1000 race, I'm glad it happened now. I have plenty of time, I will get this top-end, rear-end or whatever rebuilt, solve the oil consumption issue, gear the bike up so I will never hit those Rs again, and I will not start a ride ever without checking the oil FIRST. 500 miles I should not have burned through a qt, but I did. Or it leaked out, but there are no signs of leaking while the bike is standing. ?? Oh well, this will only add to the whole experience. By overcoming diversity and prevailing. I'm smarter now. I will not peg the Rs ever again. I will ride this bike and ride it hard but I will not try to hurt it like I did (I can do this with my 2-strokers) Like Jennifer Morton said in her interview after winning her class in the 2016' Mexican 1000 "I was riding an XR400; probably the slowest bike in the race but it’s more about brains than brawn" Yes, I don't need to go 90 to win, I need to be smart. I need to be strong.